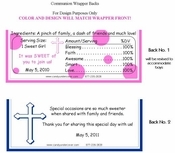 Our Pink Stripe First Communion Candy Bar Wrappers are just so pretty! Pink Stripes, Pink Cross, and Pink Wrapper, perfect for the little girl who loves the color pink! 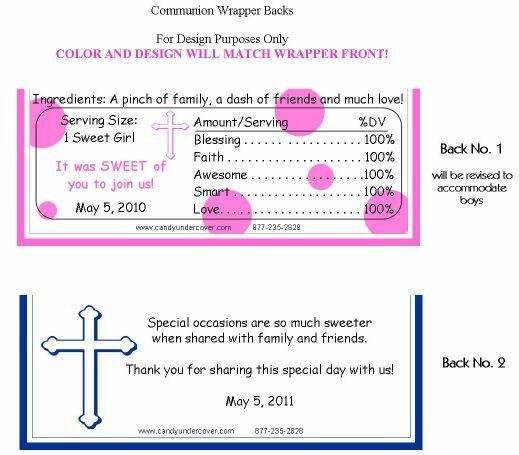 These Candy Bars will look amazing on your Communion Party Tables!